Lafayette became a friend of American artist and inventor Samuel F.B. Morse, who depicted him with Revolutionary icons Washington and Franklin in this 1826 portrait. Marie Joseph Paul Yves Roch Gilbert du Motier, marquis de Lafayette, was the wealthy French nobleman who volunteered at 19 to fight in George Washington’s army, was wounded at the Battle of Brandywine, and became a living symbol of the Franco-American alliance that defeated Great Britain in the War of Independence. Though best remembered as the triumphant youth Washington considered an adopted son, the marquis experienced many bitter disappointments in his 76 years. Soon after the Bastille fell on July 14, 1789, he was placed at the helm of the National Guard by Parisians who hoped he would lead their nation to a new era of freedom. Instead, as events grew increasingly polarized, Lafayette—who believed the monarchy should be reformed, not abolished—lost the support of republicans and royalists alike. In 1792, with the Jacobins seeking his arrest as an enemy of the revolution, he fled to the Austrian Netherlands (now Belgium), where he was imprisoned as an enemy of the king. A classical education based on texts such as Plutarch’s Lives and Livy’s History of Rome had made him keenly aware of the power of the historian’s pen to shape the memory of an era. Despite a failed early effort to influence the narrative of the American Revolution as related by the notoriously cantankerous Massachusetts parson William Gordon in a four-volume history published in 1788, Lafayette never relinquished his dream of crafting his own legacy. Writing history became one of his chief occupations when he returned to France in 1799 after seven years of prison and exile. Barred from public activity by Napoleon, he spent much of the next 15 years in his library at the chateau of La Grange, outside Paris, surrounded by portraits, including those of Washington, Benjamin Franklin, and six allies executed during the French Revolution. There he crafted memoirs recounting his tumultuous life, and communicated (as much as Napoleon’s censors allowed) with liberal-minded thinkers throughout Europe and Americans of all political stripes. 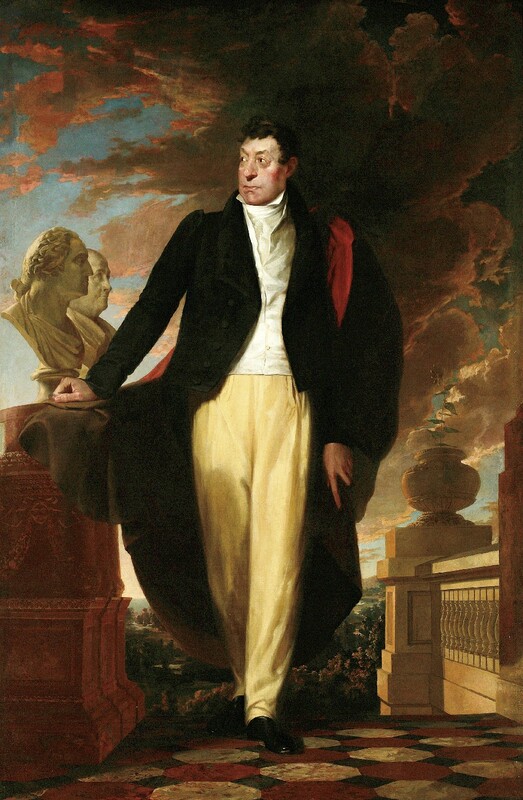 Elected to the Chamber of Deputies after Waterloo, he became a tireless advocate on behalf of liberty throughout the world. An unparalleled opportunity to solidify his place in American memory arose when President James Monroe and Congress invited him to visit as “The Nation’s Guest.” As Lafayette toured every state in the Union between August 1824 and September 1825, grateful citizens preparing to celebrate the fiftieth anniversary of independence fêted him at banquets, balls, dinners, and parades; municipalities renamed streets, schools, and parks in his honor; and entrepreneurs sold trinkets bearing his name and face at every price point. Lafayette replied with characteristic enthusiasm: “What more gratifying sacred employment can I have than to be instrumental…in Increasing your stack of materials for the monument you are writing?” He provided copies of his correspondence with Washington and invited Sparks to visit La Grange, where “I have a very good American Library, some papers, and a memory not yet decayed, all at your service.” Sparks did so in November 1828, taking more than 100 pages of notes based on anecdotes Lafayette recounted. The marquis also used his influence to enable a researcher engaged by Sparks to consult documents that an official archivist had been disinclined to share with the American. In 1839, thanking George Washington Lafayette for his father’s posthumously published memoirs, Sparks called the volumes “a noble monument of one whose name and character are stamped on the age in which he lived.” Lafayette had aimed for nothing less. Laura Auricchio ’90, dean of the School of Undergraduate Studies at The New School, is the author of The Marquis: Lafayette Reconsidered (Knopf).